Across the street from the OCEAN and Famous Huntington Beach Pier!!! Such a great 2005 Hallmark home in the lovely +G+Surf City Beach Cottage+G- Drywall Throughout. Look no more! Gorgeous open floor plan. Open Dining room and living room. This beautiful manufactured home with over 1,138 sqft. 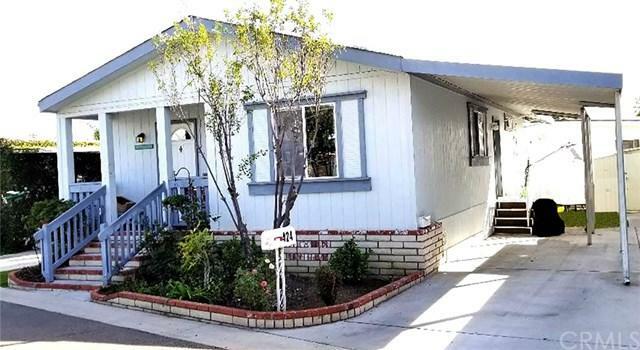 This home offers charm and character along with 2 bedrooms & 2 bathrooms. Light and bright with beautiful vaulted ceilings throughout. Private carport attached to the home that fits 2-3 cars with guest parking also available. You just can't get enough of the natural light in this home in the heart of Huntington Beach. You must see it appreciate all of the features this floor plan and kitchen has to offer. Included in with this home are (Stove, Fridge, Dishwasher, Washer and Dryer). Plenty of extra storage connected to the home. The park monthly space rent is only $1,622.00 a month. Located down the street from the "New Pacific City" with new shops and restaurants. Also one block south from the famous Huntington Beach Pier. Wonderful bike paths for peddling along the Pacific Ocean.